. . . the clarity of the cold carnation of the old skin, the creases of the smile, the folds made by the passage of time; the powerful pleating of the forehead . . . The Goncourt brothers, influential art critics and collectors, were truly moved by Maurice-Quentin de La Tour's portrait of the director of the Académie Royale, Louis de Silvestre. Other painters and draftsmen had produced formal portraits of this important figure, but none captured de Silvestre as frankly and naturally as in this preparation for a more elaborate pastel, now in the collection of the Musee Antoine-Lécuyer, St. Quentin, France. De Silvestre appears in an unguarded moment without his wig. The scarf tied around his head suggests he is working in his studio. 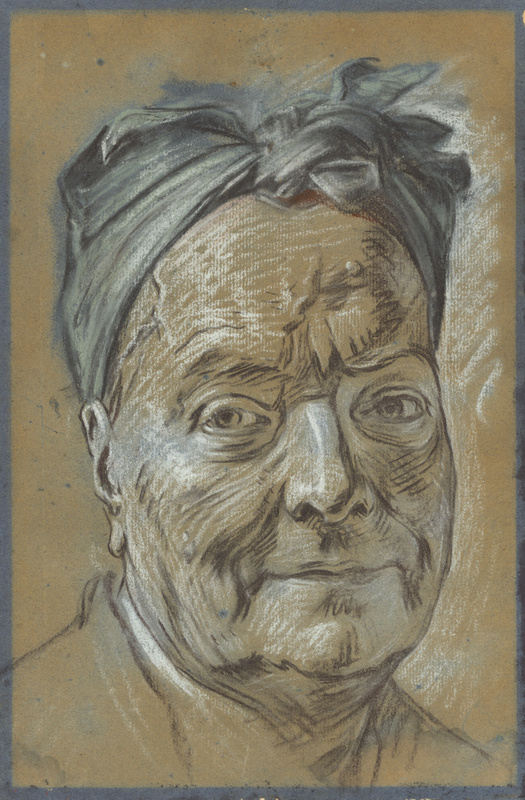 La Tour candidly recorded his 73-year-old subject's blood vessels, wrinkles, and moles, giving De Silvestre realistic human qualities that formal portraiture of the period did not often capture. He and La Tour were friends, which also contributes to the intimacy of the portrait. 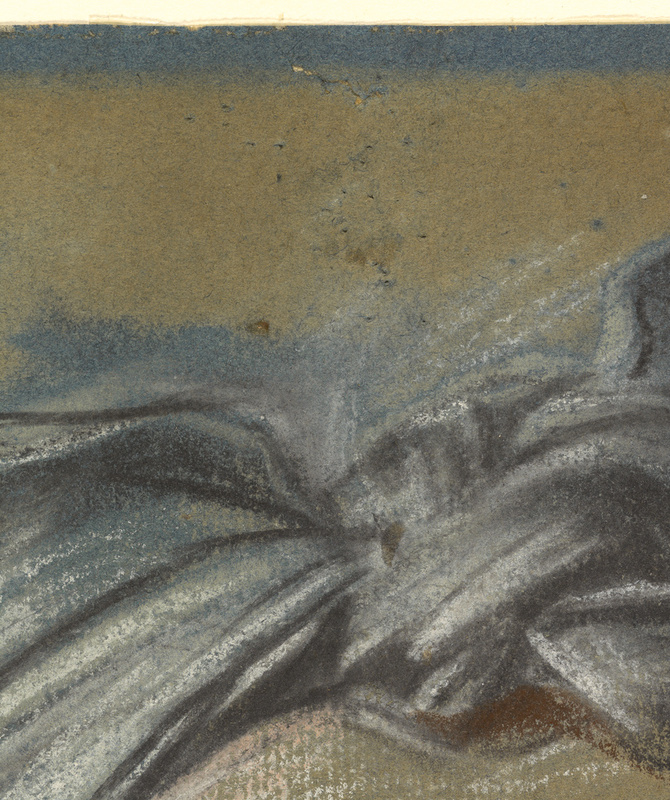 Made seven years before de Silvestre's death, this drawing strikingly conveys the physical effects of age.